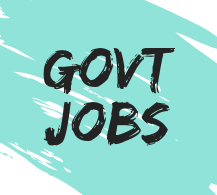 Sardarni Sada Kaur Khalsa Girl’s Senior Secondary School, Darya Ganj, New Delhi is presently having a vacancy for 12 posts under the various education qualification. This is a latest teaching jobs in New Delhi for the 12th, BE, BTech, Diploma, B.Sc, MA pass candidates with notification and other information. PGT (Computer Science) ⇢ Engineering (B.E / B.Tech) + PGDCA / M.Sc / MCA. PGT (History) ⇢ M.A (History), B.Ed. PGT (English) ⇢ M.A (English), B.Ed. TGT (Maths) ⇢ B.Sc (Math. ), B.Ed, CTET. Assistant Teacher ⇢ 12th / 10+2 Passed, 2 year diploma Junior basic training. Librarian ⇢ Graduation / Diploma in library science. Laboratory Assistant ⇢ 12th pass and 6 month experience as lab assistant. Lower Division Clerk (LDC) ⇢ 12th / equivalent passed with 35wpm in Hindi / English. Note → This govt job is for female candidates. How to apply → Send all self attested documents to The Manager, Sardarni Sada Kaur Khalsa Girl’s Senior Secondary School, Darya Ganj, New Delhi 110 002.